fourth quarter and fiscal year ended January 28, 2017.
million in the fourth quarter of fiscal 2015.
and direct to consumer comparable sales, increased by 10.8%. from 46.1% in the fourth quarter of fiscal 2015.
quarter 2016 SG&A included $2.5 million of net non-recurring expenses. 6.5% compared to 4.3% in the fourth quarter of fiscal 2015.
compared to 35.0% in the fourth quarter of 2015. $0.05 compared to $0.03 in the fourth quarter of fiscal 2015.
million in pro forma fiscal 2015.
and direct to consumer comparable sales, increased by 11.2%. sales, up from 39.8% in pro forma fiscal 2015.
was 67.0% compared to 66.4% in pro forma fiscal 2015.
million of net non-recurring expenses. compared to 7.4% of net sales in pro forma fiscal 2015. $106.2 million from $82.0 million in pro forma fiscal 2015.
to 41.7% for pro forma fiscal 2015. Diluted earnings per share for fiscal 2016 were $0.55. excludes net non-recurring expenses, were $0.68. ended the year with 275 stores. Adjusted Net Income” for more information. earnings per share are expected to be in the range of $0.71 to $0.75. conference call will be available online at http://investors.jjill.com/Investors-Relations/News-Events. 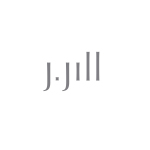 until Thursday, April 6, 2017.
more information, please visit www.JJill.com. business value and as such, use it internally to report results. comparative operating performance from period to period. Adjusted Net Income divided by the number of shares outstanding. whether as a result of new information, future developments or otherwise. period (pre-sale) and Successor period (post-sale period). operations would be for any future periods. the date of the Acquisition. purchase price allocation at the date of the Acquisition. recognition of the fair value of favorable/unfavorable leases. from the recalculation of deferred rent expense from the Acquisition. (9) Represents the net change in interest expense. reflecting an estimated statutory tax rate of 35%. (c) Represents net gain or loss on the disposal of fixed assets. legal and professional fees associated with non-recurring events. basis over the term of the new lease, in accordance with ASC 840.